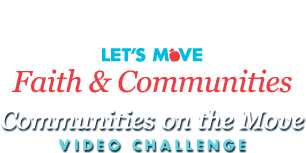 The Philadelphia Campaign for Healthier Schools works with 175 public schools to promote healthy eating and active living in the school environment. Participating schools assess their health environments, create improvement plans, and receive training and resources to implement wellness goals. The HYPE Campaign (Healthy You. Positive Energy.) was created to encourage middle and high school students to form Youth Wellness Councils and engage their peers through outreach, awareness building and wellness activities in their schools and communities. 1,000 youth from 100 schools across Philadelphia participated in the Youth for Healthy Change Leadership Summit to develop leadership skills and to learn how to plan a healthy campaigns for their schools. This video highlights HYPE youth leaders implementing wellness activities including classroom movement breaks, healthy food fundraisers, promoting healthy snacks at the corner store and fitness clubs. This project was funded through the Centers for Disease Control and Prevention, and was a partnered effort of the Philadelphia Department of Public Health, the School District of Philadelphia and The Food Trust. This is a nicely done. It flows very well and is informative. I enjoyed the message of the video. We need more messages like this for our youth. Very well done video. Nice pace. I love this video! Good job! I saw several kids, including one in the HYPE t-shirt, running in the park this weekend. Fast, too! It's not just HYPE! I love seeing youth excited about their involvement in positive things! Great video!! !